I’m not from Minnesota. I’ve only been there a couple of times. 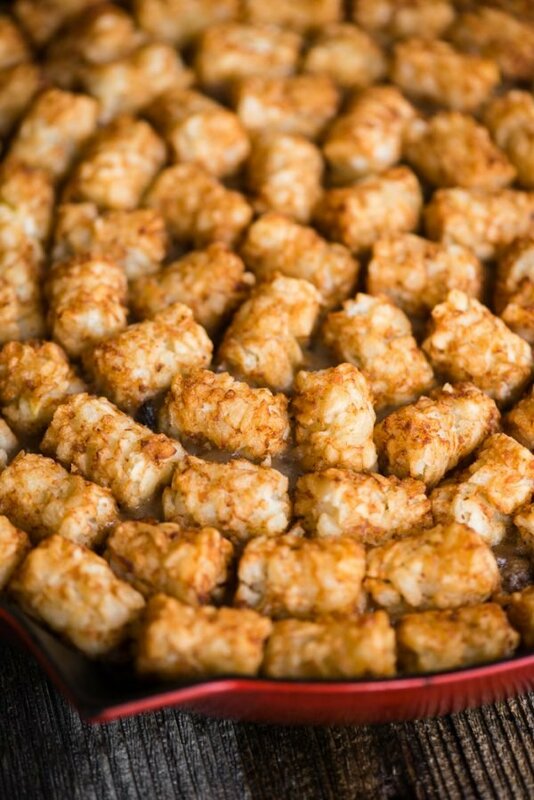 I grew up in California and I had actually never heard of a Tater Tot Hotdish until recently. Tater Tots? You bet. I love them. But I had no idea what a hotdish, let alone a tater tot hotdish was. 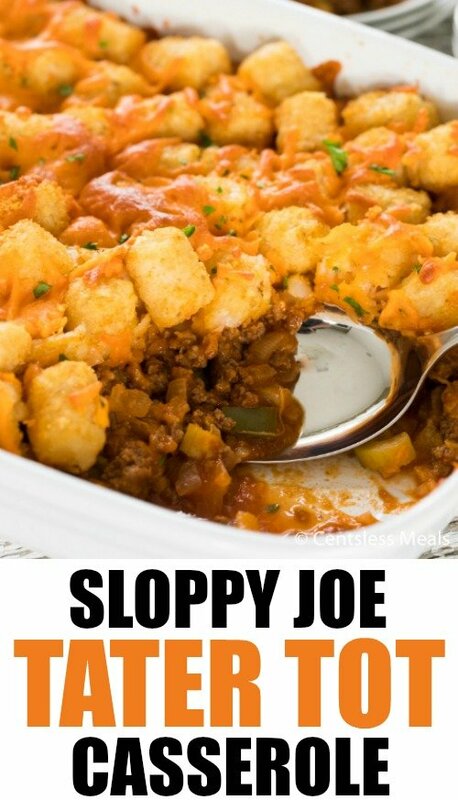 What is Tater Tot Hot Dish? Turns out, a hotdish is just another name for casserole. 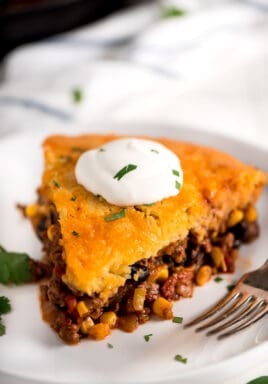 Speaking of casseroles, if this hotdish recipe looks good, you’ll definitely want to make Sloppy Joe Tater Tot Casserole or how about a Pierogi Casserole? I wanted to make sure that when I made this tater tot hotdish recipe, I stayed true to how Minnesotans enjoy it. Turns out I’m lucky enough to have a good friend from Minnesota who was happy to advise me. You see, the West Coast girl in me wanted to add all sorts of ingredients, namely vegetables, to my hotdish. My friend said that wouldn’t be a true Minnesotan hotdish, so I stuck with just corn. If you’re looking for a Tater Tot Hotdish without cream of mushroom soup, this isn’t the recipe you’re looking for. 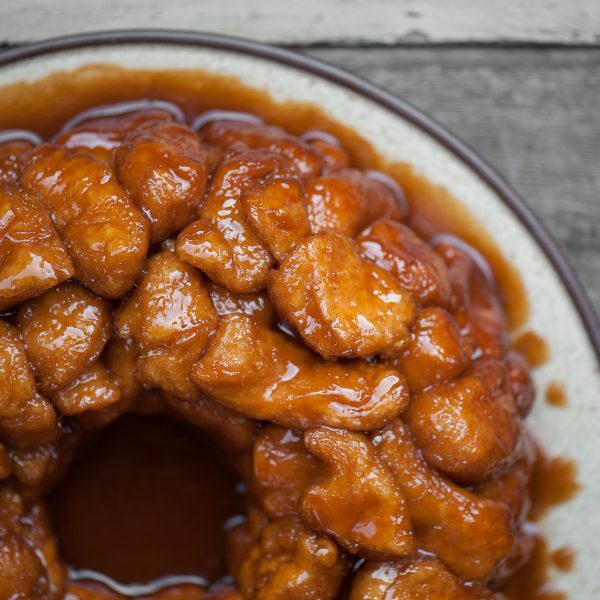 But let me tell you, this super simple recipe tastes amazing. Some recipes make tater tot hotdish with sour cream, however, I would only do that if I were to incorporate some sauteed mushrooms, basically making my own cream of mushroom soup. 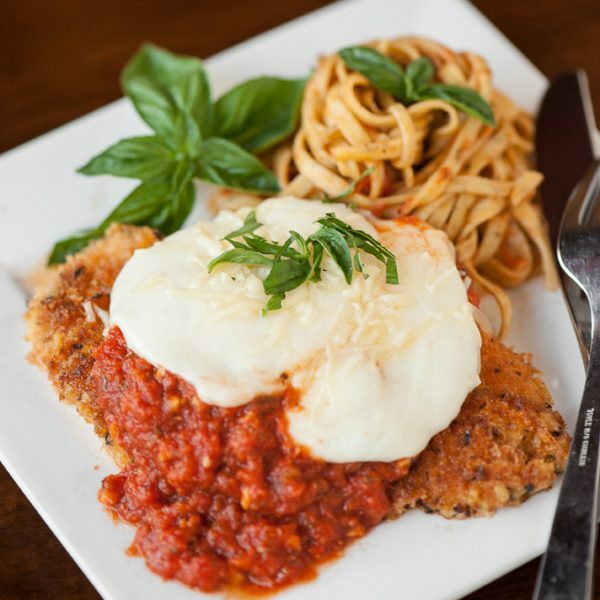 With the combination of ingredients used, I felt the dish had plenty of creamy texture and great flavor. The cheese wasn’t needed at all but of course you can add cheese to make this into a cheesy Tater Tot Hotdish! How do you cook a Tater Tot Casserole? Cooking Tater Tot Hotdish couldn’t be easier! Brown ground beef and onions. I’m sure plenty of hotdish recipes out there don’t call for onion however, I think it adds a ton of great flavor and texture. Transfer it to a baking dish, or you can cook the casserole in the pan you cooked the meat in if it’s large enough and oven safe. Add the corn to the top of the meat and then top that with the cream of mushroom soup. This casserole cooks about 45 minutes. 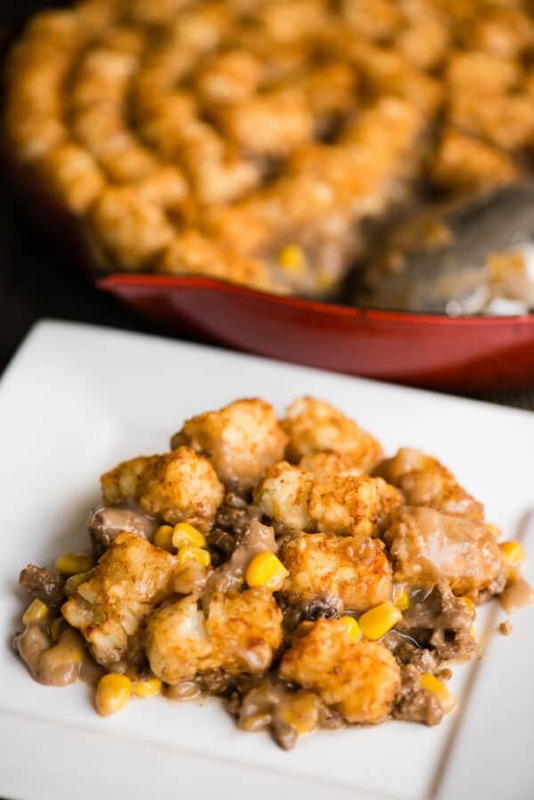 If you’d like to make it ahead of time this tater tot hotdish can be refrigerated overnight before baking. Remove it from the refrigerator about 20 minutes before baking (while the oven heats up). If you like the tater tots extra crispy, allow them to defrost a bit before you bake them. Tater Tot Hotdish, also known as Tater Tot Casserole, is a classic comfort food recipe best known in Minnesota. 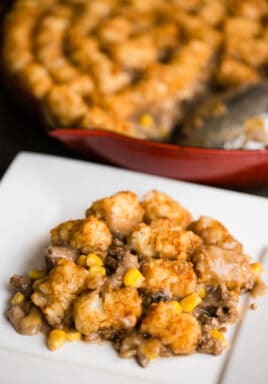 This recipe is a combination of five ingredients you will most likely already have on hand - ground beef, onion, cream of mushroom soup, corn and tater tots. Brown ground beef and onion in a large skillet over medium-high heat. Once meat is starting to brown and is crumbly, remove from heat. Either transfer meat mixture to a 9x13 casserole dish or keep it in the skillet if it is 12" diameter and oven safe. Top with corn, then cream of mushroom soup, then tater tots. Technically, a “hotdish” is four things: meat, starch, and veg in a creamy sauce (usually condensed cream-of soup) that you serve from a pan. 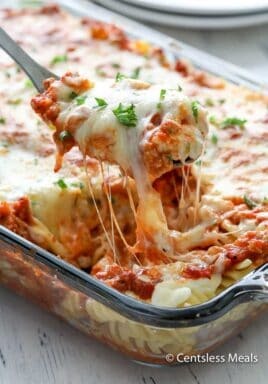 A casserole is a shallow baking dish which can contain all those things but is baked as well–usually with cheese on top. Love the one pan aspect too Jenn. 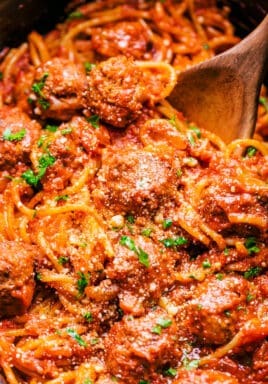 This recipe is so tasty! When considering “cream of….” soups, never forget about cream of potato soup. I substitute cream of potato soup for many soups. Green bean casserole? Try a different taste by adding cream of potato instead of cream of mushroom soup. I don’t care for mushrooms and their soup! Great tip Spring! Thank you and I’m so glad you found Centsless Meals! This dish sounds great byt I have a problem. I live on the West Coast of South Africa…never heard of Tater Tots….how do you make them? Antoinette, you can use hash browns in place, or you can make homemade Tater Tots!